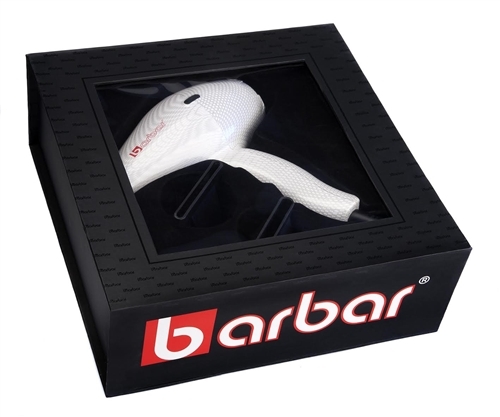 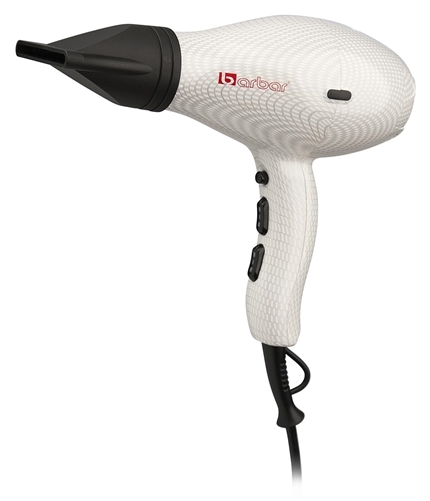 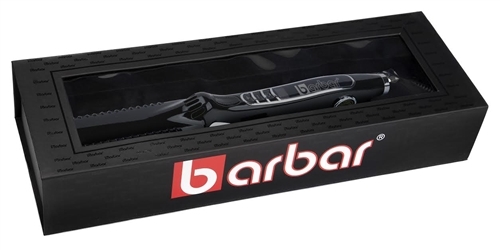 The BARBAR 2600 Titanium-Ionic Flat Iron can be used on wet or dry hair to reduce styling time without damage due to its protective titanium plates. 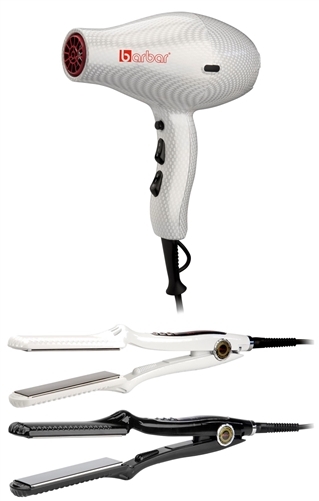 Titanium is an indestructible man-made metal that performs superior to and is kinder to hair than ceramic or tourmaline flat irons, allowing for ease of use and incredible, quick results. 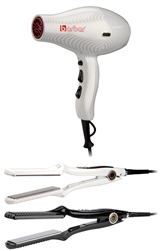 You'll find the 2600 Flat Iron straightens your hair beautifully, creating a sleek and shiny look!